It was April 1979. Jane Fonda had won an Oscar for Best Actress in "Coming Home." Gloria Gaynor was ruling the music charts with her break up anthem "I Will Survive." And a flock of celebrities came to Bloomington for the Little 500. Indiana University’s 1979 Little 500 race wasn’t the only feature in Bloomington that weekend. 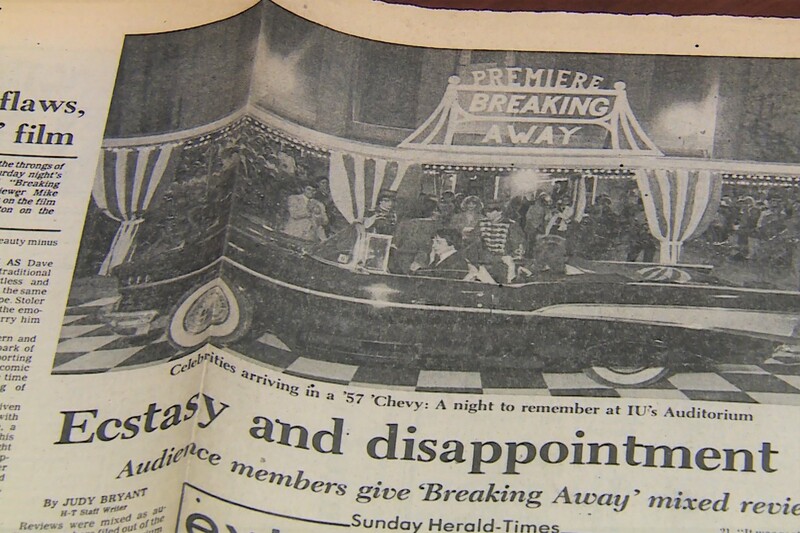 The IU Auditorium was hosting the premier of "Breaking Away." The movie was filmed in Bloomington and follows local teenagers competing to race against IU students in the iconic Little 500 race. Brad Cook is the Director of Photographs at Wells Library. He says it’s fun to watch the movie and try to figure out where the scenes were filmed. Cook says being familiar with Bloomington, he can pick out mistakes. “For instance, in that scene that I mentioned earlier where he notices the girl, drops a book and she goes off on a motor scooter and he gets on his bike grabs the book and goes after her, you’ll notice that in one place, they’re riding west to east on that road between the Union Building and Owen Hall, and in the very next scene, they’re riding the other way,” Cook says. The Wells Library on the IU campus preserves newspaper clippings about the movie, movie posters and photographs. “So in the scene where the Dave Stoller character is riding on 37, behind and next to the semi-truck and you see him up close pedaling, he’s not actually on his bike, he’s actually on this contraption,” Cook says, pointing at a 3-wheeled vehicle.